Fellows and Members: enter your email address below and click 'Confirm Email' to be taken to event registration at your discounted rate. Your discount will be applied at checkout. The Health Informatics Workgroup and Healthy Aging Section of The New York Academy of Medicine will be hosting an evening conference and exhibit to showcase innovations that employ health informatics to improve health, healthcare and healthy aging. This event will consist of several presentation stations wherein a variety of innovative informatics solutions will be displayed that address specific healthcare applications and uses. Dr. David Vawdrey is Vice President of NewYork-Presbyterian Hospital’s Value Institute. NewYork-Presbyterian is an integrated academic health care delivery system partnered with two renowned medical schools, Weill Cornell Medicine and Columbia University College of Physicians and Surgeons. 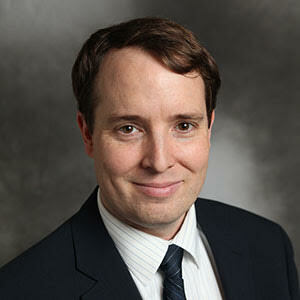 In his role, Dr. Vawdrey has responsibility for enterprise analytics and performance improvement. He is Assistant Professor in the Department of Biomedical Informatics at Columbia University, with research interests involving the use of health information technology and patient engagement to enhance safety and quality. Dr. Vawdrey studied computer engineering and computer science at Brigham Young University and earned a doctorate in biomedical informatics from the University of Utah. Questions about the event or proposal submissions should be emailed to Edmund Pajarillo at [email protected] and Keith Weiner at [email protected], Co-Chairs, Health Informatics Workgroup. If you or any of your colleagues are interested in sponsoring this event, please see the Sponsorship Form for multiple sponsorship options. The sponsorship submission deadline is April 5, 2019.